A birthday card. 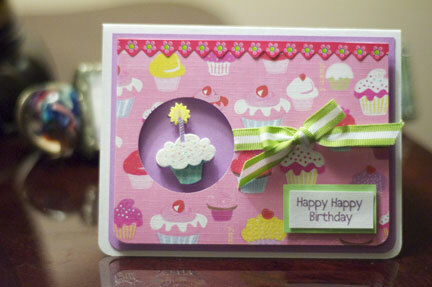 This card was made using the Taylored Expressions monthly kit for January. Love the papers. They are very sparkly, though it doesn't show up real well on the photo. The cupcake is from K & Co.